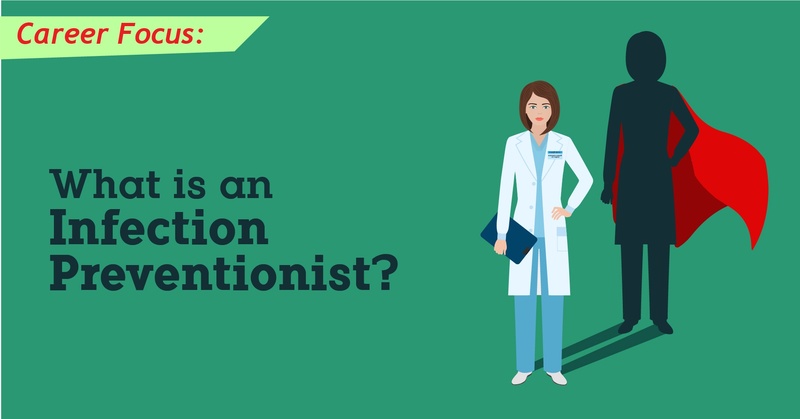 Career Focus: What is an Infection Preventionist? In the 1970s, infection control and prevention became a specialty in it's own right. Since then, the role and expertise of the individual tasked with preventing and controlling infections has grown and evolved. Originally, individuals charged with hospital infection control typically had a nursing background and executed tasks closely related to a clinical nurse specialist - supervision, education, reporting, and clinical expertise. However, recent changes in accountability and hospital finance management have spurred an expansion of duties for this individual, now more appropriately called an "Infection Preventionist." What do these individuals do in a hospital? What are their job expectations and core competencies? Join us as we explore this vital profession within the field of healthcare. In 2012, the Association of Professionals in Infection Control (APIC) presented a Competency Model for Infection Preventionists (IPs), with six core competencies identified by the Certification Board of Infection Control and Epidemiology (CBIC). The IP has to know everything about pathogens: Types, where they thrive, which tests identify them, and how to eliminate them from patients and surfaces. This means the IP is engaged in clinical, laboratory, environmental, and pharmaceutical activities. Daily activities for the IP involve surveillance and monitoring of infection prevention protocols. This means collecting and analyzing data and taking steps if any red flags are spotted. In the event of an outbreak, the IP conducts the investigation, including collecting data and communicating with external agencies. The IP develops, reviews, and updates the facility's protocols and procedures for infection control and prevention. This includes disaster planning and, in some cases, preparing for threats such as bioterrorism. But the major work goes into the creation, communication, and implementation of daily protocols involving hand hygiene, environmental and device cleaning, patient isolation and transfer, immunization, and even construction/renovation procedures. Often, the IP is also responsible for occupational health issues such as immunizations, exposure response, and risk assessment. The IP will be the key liaison with a hospital's occupational health department whenever communicable diseases are involved. It is impossible to overstate the importance of this core competency to the IP and her/his facility. The IP performs risk assessments, action plans, cost benefit analyses, and measurement goals. The head IP and staff are instrumental in not only the planning of infection control programs, but their implementation and monitoring. This involves significant staff training, but also the responsibility of motivating the entire hospital staff to be engaged in infection control; the IP is instrumental in creating a culture that supports infection control efforts. In an ever-evolving field, the IP must stay abreast of current research in infection control, as well as new products and interventions that are available. They must then transfer their knowledge to their staff as well as to the facility staff as a whole. Summarizing current clinical findings, preparing caregivers for home-based infection control, presenting data and reports to the hospital C-suite or Board -- the IP is always a teacher. As you can see, the hospital IP is a versatile leader whose central mission is ensuring patient safety. The position demands expertise in microbiology, epidemiology, statistics, human resources, education, public policy, and clinical practice. To say they wear many hats is to put it mildly! In the ongoing battle against dangerous pathogens, the IP is drill sergeant, bunk mate, soldier, medic, general and diplomat. In a future post, we'll discuss the training and certifications required to become an IP. Stay tuned!